OSRS account combat level 81 ID# 20181130SB81 - RuneScape Accounts,RS Accounts,Buying Runescape Accounts,Buying RS Accounts,Cheap Runescape Accounts,Cheap RS Accounts. 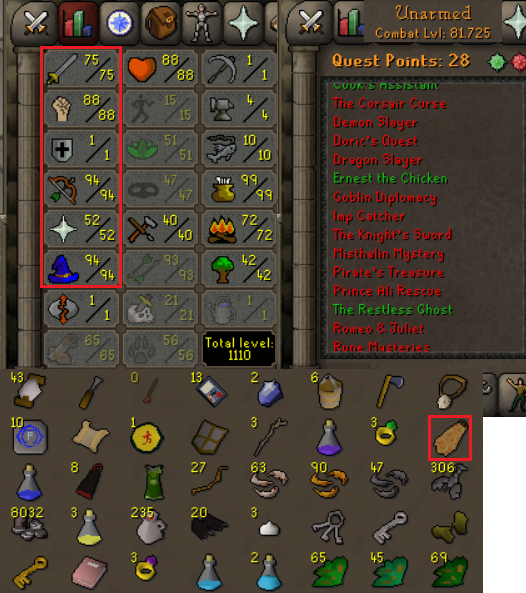 OSRS account combat level 81 with 75 attack, 88 strength, 1 defense, 94 ranged, 52 prayer, 94 magic, 99 cooking, 93 fletching, total level 1110, quest points 28. come with firecape. trained by our own trainer ,100% no recover back. no bans. no offense.